Successfully Added Flexible Multicolor Stick-on LED Strip - Indoor Splashproof, High LED Brightness, 150 LEDs, 5 Meters to your Shopping Cart. Flexible Multicolor 5 meter LED Strip with self adhesive tape and an indoor splash-proof coating. This is the perfect LED strip to decorate the inside of your house! This high quality LED light Strip features 30 multicolor LEDs per meter which, using new and improved LED technology, are brighter than ever before as well as being able to be remotely controlled. Choose between Red + 4 gradient hues, Blue + 4 gradient hues, Green + 4 gradient hues and White or use one of the preset light effects. The 5 meter LED strip is extremely flexible and can be bent in any shape, making this product perfect for architectural lightning, display lightning, outdoor use, and many other applications. LED strips have a distinct advantage over incandescent and neon lights since they provide a much longer life span (50.000 hours). Other advantages are the extreme flexibility of the strips, no need for maintenance and the energy efficiency. 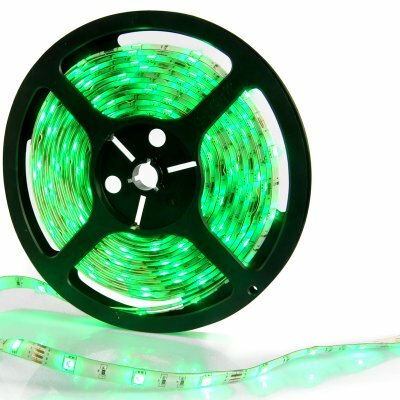 This 5 meter multicolor LED strip is in stock now and ready for next day shipping. 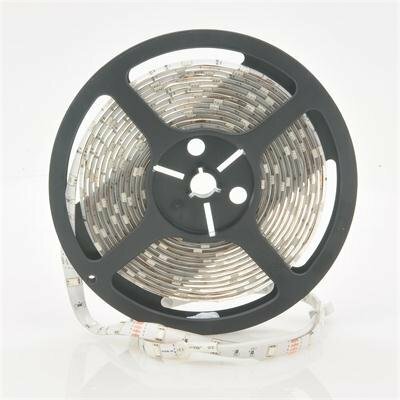 Ideal for DIY projects, the LED light strip is brought to you by the leader in wholesale LED lights, Chinavasion. This product is splash-proof and can be used outdoors, but due to the waterproof construction it is recommended to leave this product indoors in case of heavy rain.